The Dexter-Lawson® Classic Paper Drill has been the industry standard for over 40 years and has over 1000 installations throughout the US. 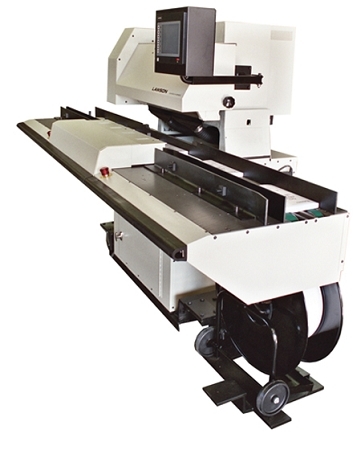 This machine with it's unique "two-up" drilling capability and 3" lift height, is design to meet the needs of high volume, automated bindery operations. 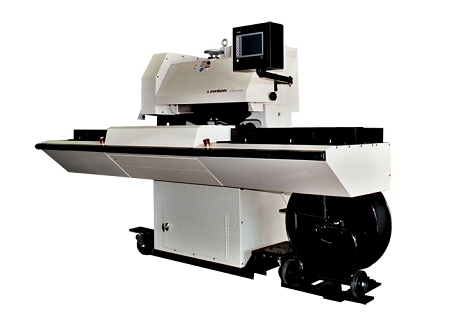 This latest model comes with the following standard features: touch screen controls, PLC driven electronics, continuous drill tape advance, easy job changeover, pneumatic brakes and automatic chip vacuum system. The Classic is also available with silicone-spray system to lubricate the drill bits for maximum productivity and roll around wheels for quick movement around the bindery. Paper sheet size max. 12' x 12" min 3" x 5"
Floor area: 40" x 110"